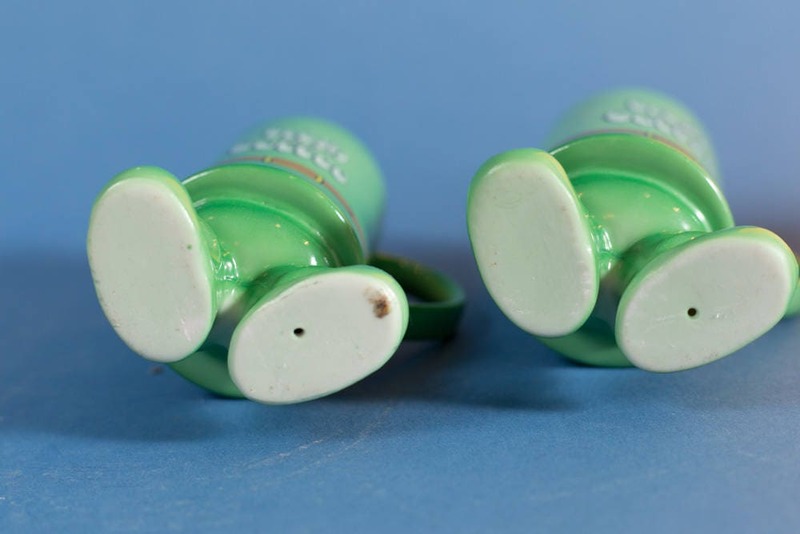 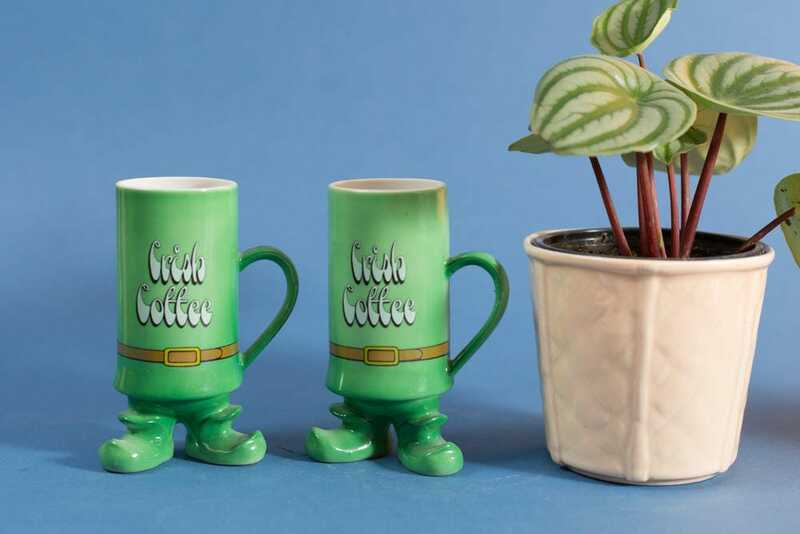 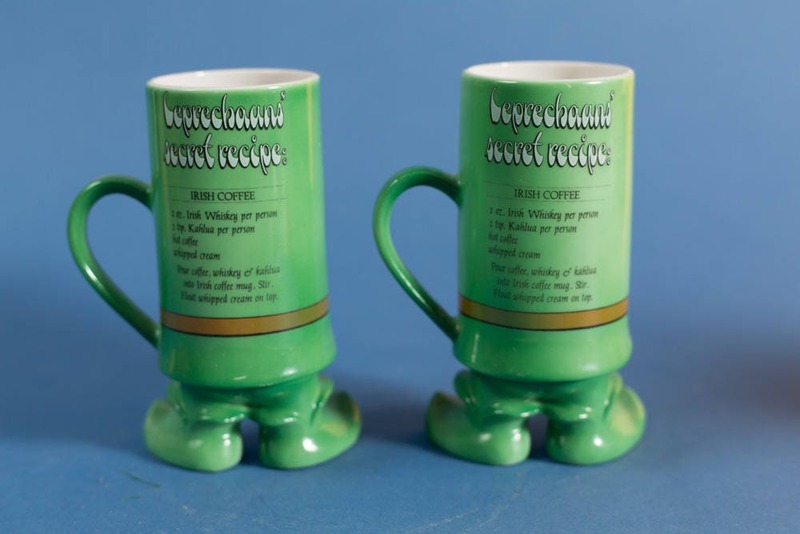 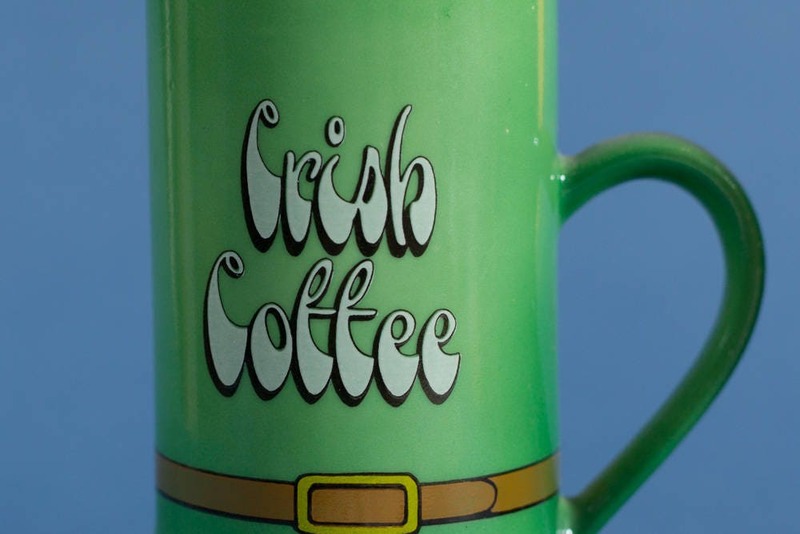 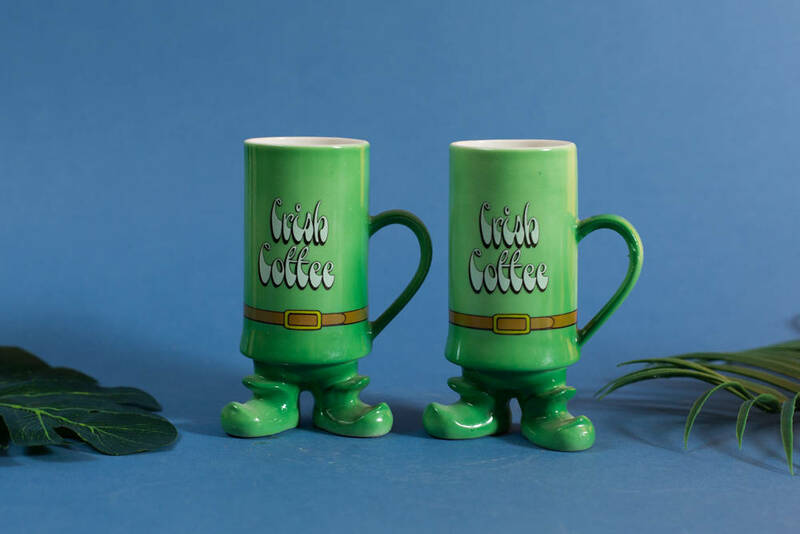 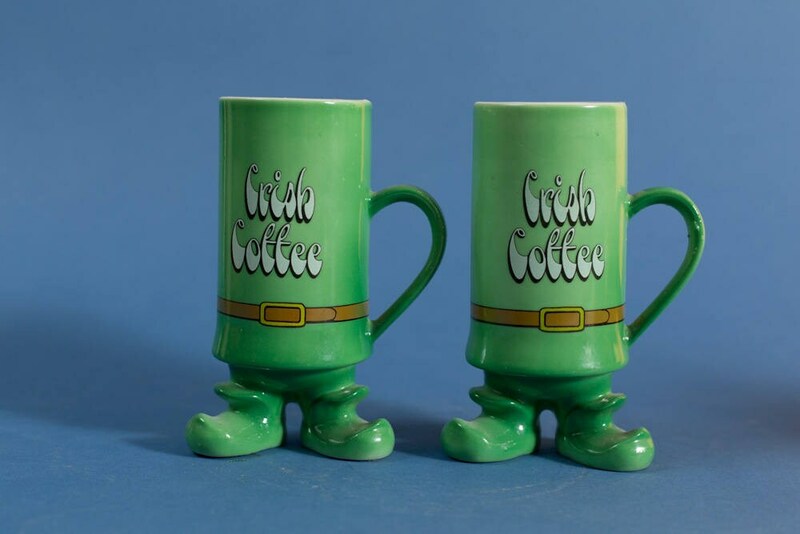 These vintage footed leprechaun Irish coffee mugs are just adorable! 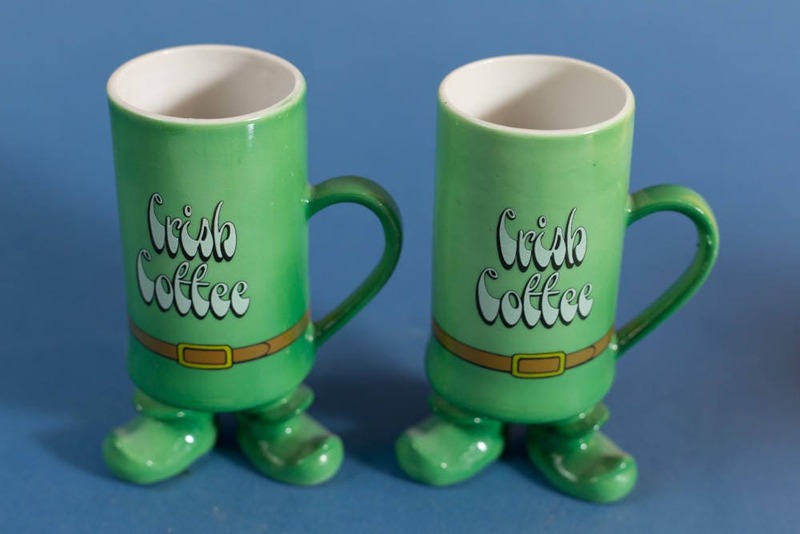 They are cheerfully wonderful and make a great St. Patricks Day gift. 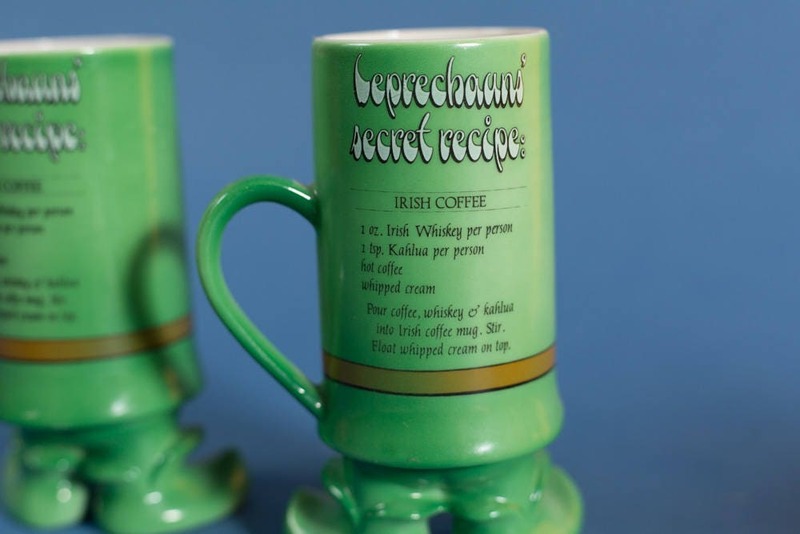 There is a speciality coffee recipe in the backs of the mugs.